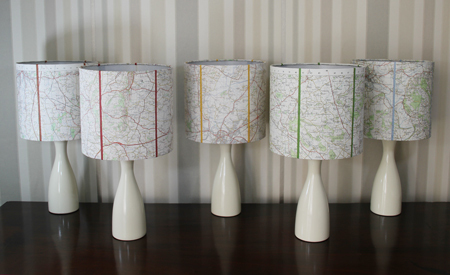 I have been making small table lamps for h.Art using local OS maps dating from the 50s and 60s. So far I have those featuring west and east of Hope-under-Dinmore, Hereford and Ross-on-Wye, Malvern, Upton-on-Severn and Cheltenham. 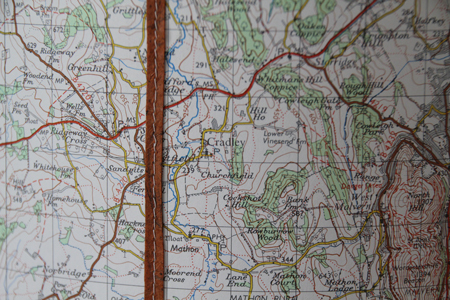 I know I’ve said it before, but I really do like the colours of vintage OS maps. That is an ingenious lamp shade. Really nice!